The Q'ewar Project AustraliaQ' ewar Project Peru | A social and economic initiative. Welcome to the Q’ewar Project, Australia. Welcome to the Australian website for The Q’ewar Project, Peru. This project began in 2002. 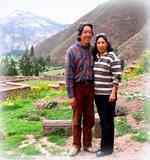 It is a social and economic initiative working with the indigenous women living in the peasant rural community of Q’ewar, in a small town outside Cuzco, called Andahuaylillas. Q’ewar produces items of quality, using only natural materials, handmade. By providing open, bright and comfortable workshops where the beautiful handcrafted dolls, doll clothing and other articles are created, Q’ewar has created an atmosphere which fosters self-esteem, personal growth and a way to gain economic independence through learning life skills in a community setting. We hope you will take time to look around the website and learn more about how this inspiring and wonderful project.. You may decide to buy a beautiful hand crafted “doll for life” – a doll that can be kept for a life time and passed down the generations. We hope you will enjoy your visit. If you would like to buy a doll or enquire about wholesale prices for your store, school or kindergarten, please click. Doll making is one of the oldest and most beautiful hand crafts in the world. 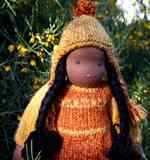 Read about how Q’ewar dolls are made. Browse photos of dolls made at the Q’ewar project. Choose a doll for yourself or as a gift to a special child (or adult) in your life. Please take the time to watch this 4 part documentary made by a volunteer who spent time at the project in 2011. 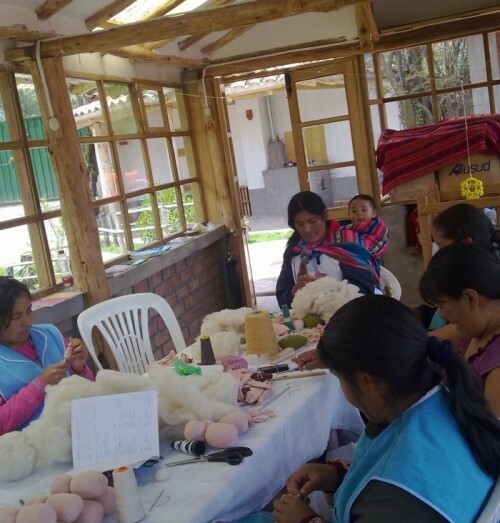 Women in the village of Andahuaylillas have been taught the traditional art of doll making by Julio Herrera and his partner Lucy Terrazas after they moved to settle in this village and set up the Q’ewar Project. 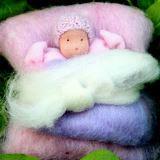 These truly beautiful handmade dolls are now sold all over the world including here in Australia. Little Chips Handcrafts is the distributor for the dolls here in Australia. The project also supports work on the land for other women and men in the village. Teaching work in the Q’ewar school, Wawa Munakuy (“giving love to the children” in the Quechua language) provides love and support for the youngest preschoolers of the working women. There are also classes for early primary school age children and recent donations to the project will hopefully allow for growth into higher school education. Please take the time to view this video which is part one of a 4 part documentary made by a volunteer who spent time at the project in 2011.